So says Reddit user Maxb176 in the caption to his great pic, seen above. 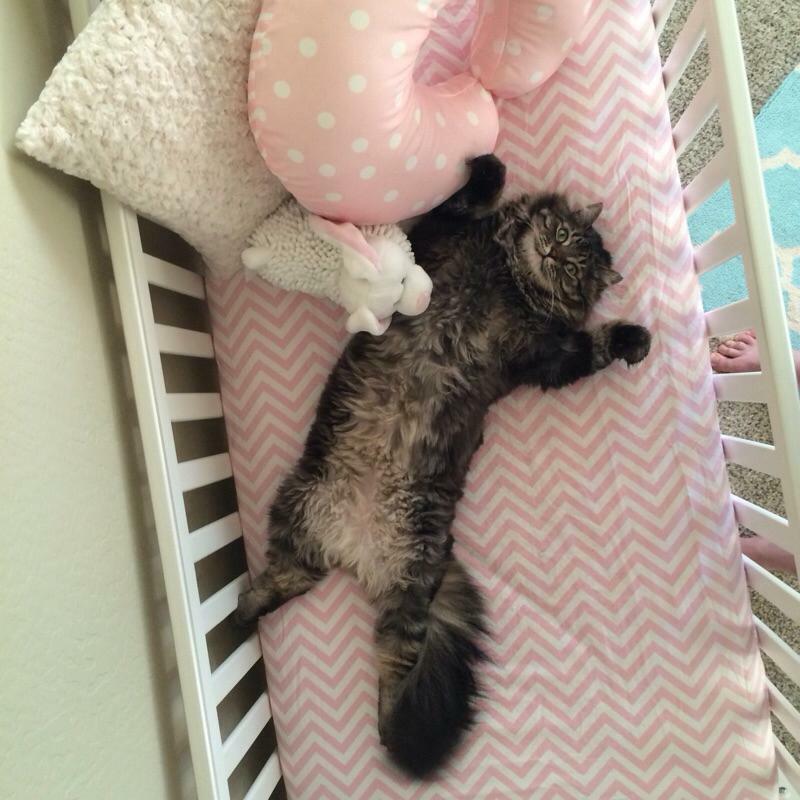 Maxb176 and his wife have two cats and are expecting a baby very soon. 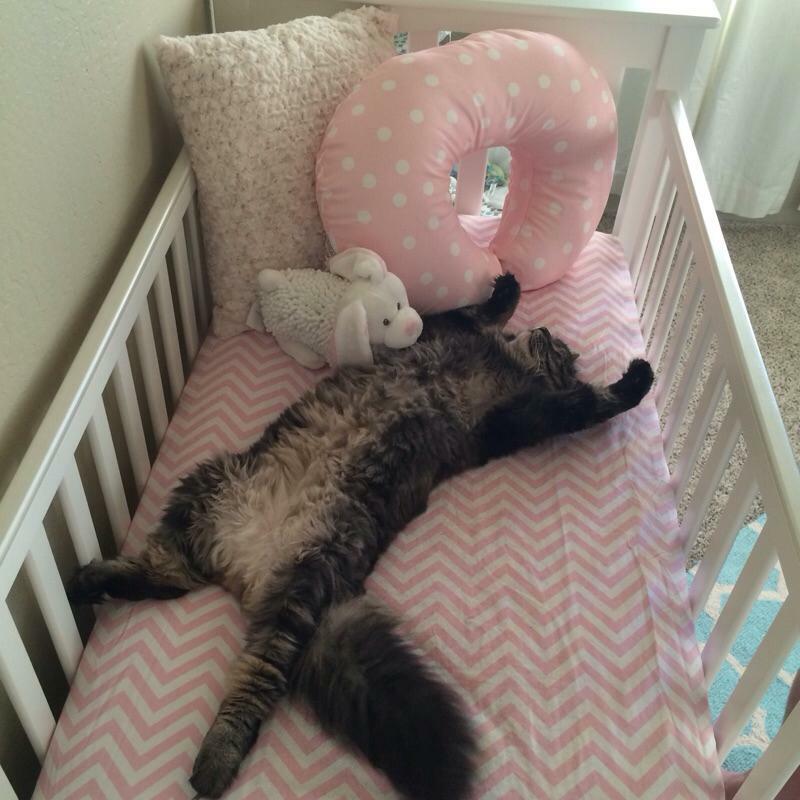 While kitty thinks the newly assembled crib is just the ticket, he will have cede possession when they baby arrives. The couple have hit on a solution; kitty will get a new bed, too. 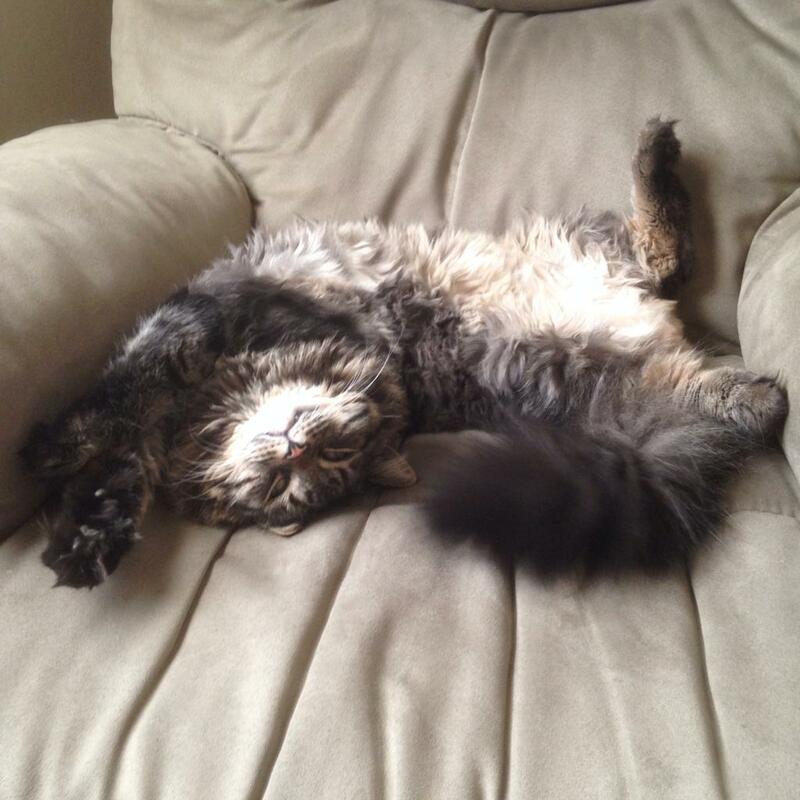 Below is another view of the very comfortable kitty. Below that, kitty has switched to a new napping spot, about an hour later. See the original at Imgur.